Human beings by their very nature try to block out and forget horrible images and events and to "get on with their lives". 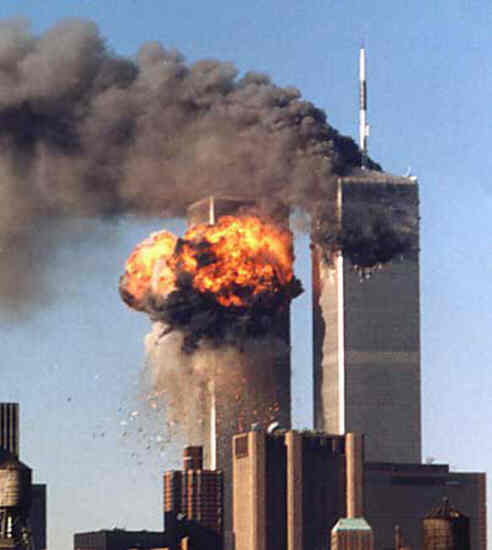 This is one image that we all should never forget, because the threat is still there, as much as it was on that sunny, clear day in 2001. Don't forget to put your flag out on Saturday to honor the thousands of firefighters, police, rescue workers, and civilians just going about their work day when they were killed by Islamic terrorists.